With a luxuriously warm lining and trim, the Repose full slippers by Padders surround your feet in a snug fitting so your toes are kept toasty and snug. The memory foam insole contours to the shape and curves of your feet making every step super comfy. These Padders slippers will never let the comfort go as these are suitable for light outdoor use like pottering around the garden. Give your feet the warmth and luxury they deserve with these slippers. Showing 2 of our total 5 reviews, with an average rating of 5 stars. 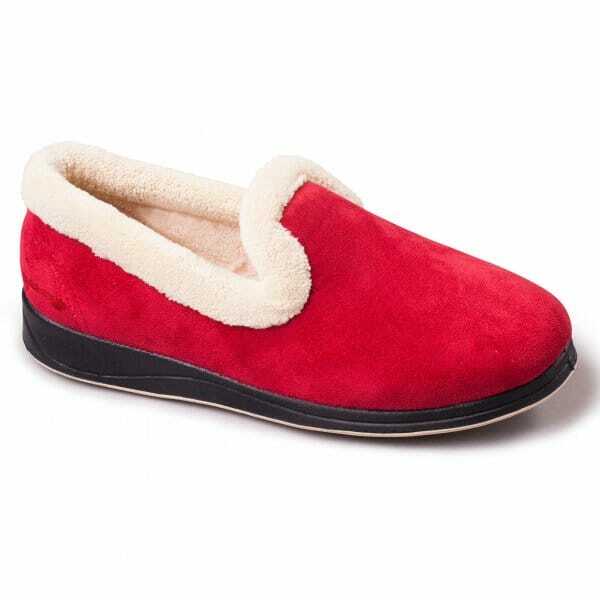 Read all 5 reviews for Padders REPOSE Ladies Extra Wide EE Fit Full Slippers Red.